Prime is a complete and concentrated conditioner for both fresh and salt water. It should be the first choice conditioner when setting up a new tank, adding, or changing water. Prime® removes chlorine, chloramine and ammonia. Prime® converts ammonia into a safe, non-toxic form that is readily removed by the tank’s biofilter. 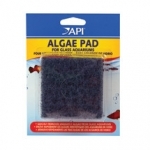 LIFEGUARD tablets with HaloShield® attack a broad range of external fish diseases in saltwater aquariums-- bacterial, fungal, viral, and parasitic. It's HaloShield, a revolutionary non-antibiotic agent, that makes LIFEGUARD pre-measured tablets so tough on harmful disease-causing microorganisms. Safeguard tanks with LIFEGUARD! 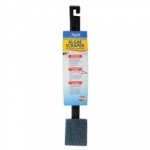 An incredibly durable algae scraper for cleaning acrylic aquarium walls. Made with an 18" long, strong handle to protect user from getting too wet. 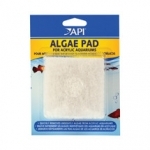 Scrapes off algae quickly and easily. 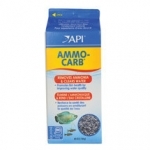 Economical trigger spray for cleaning the aquarium. Cuts through white, crusty mineral deposits. Leaves a protective coating to reduce future maintenance. Safe for fish and plants. 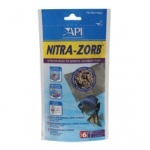 Use on both glass and acrylic aquariums. 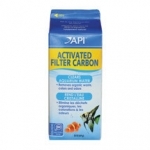 Filtration media for the freshwater hobbyist that mixes Ammo-Chips and Activated Filter Carbon to rid aquarium water of dissolved organic materials and ammonia. 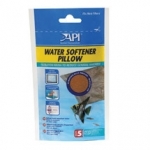 Ideal for soft water aquariums. Ready-to-use pouch contains resins to remove calcium, magnesium and soluble heavy metal ions, including copper and iron. May be recharged for multiple uses. Patented pyramid-shaped feeder block contains nutritious, slow-release pellets. Each pellet is a uniformly balanced meal. 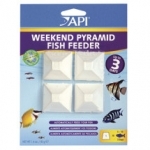 One pyramid will feed 15 to 20 average-sized fish in a 10 gallon aquarium for up to 3 days. Works quickly to rid fish of ICH. Spread throughout tap water are various chemicals and toxins that can be harmful to fish if left untreated. TAP WATER CONDITIONER removes these toxins instantly. STRESS COAT makes tap water safe and contains the healing power of Aloe Vera, scientifically proven to reduce fish stress and heal damaged tissue.